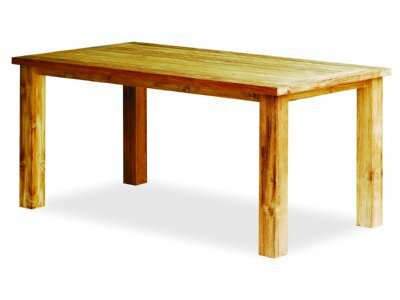 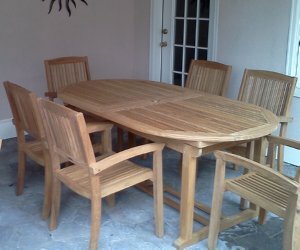 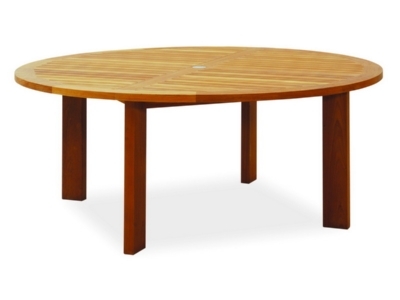 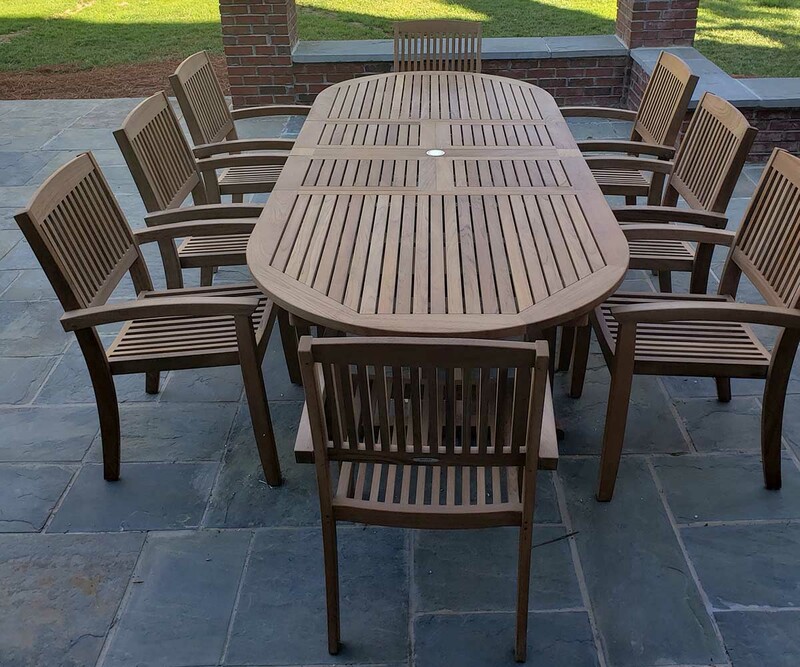 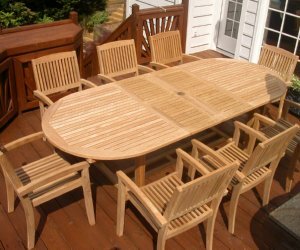 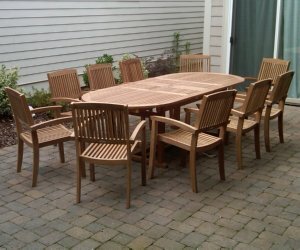 This teak table is our largest table and can comfortably seat 8 to 12 people. 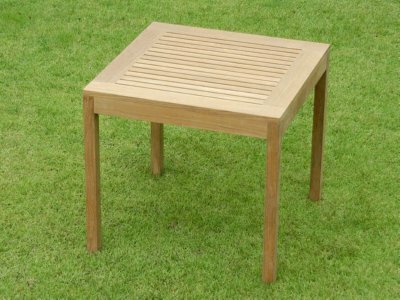 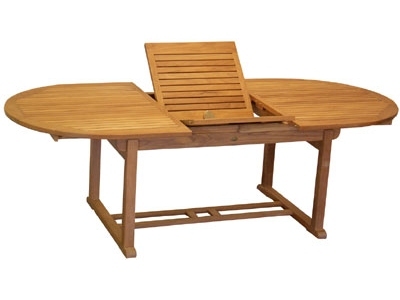 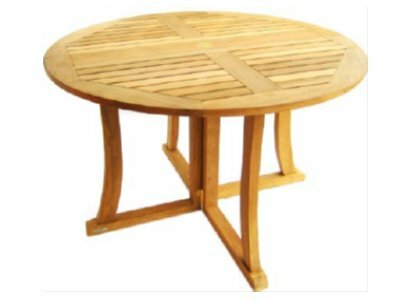 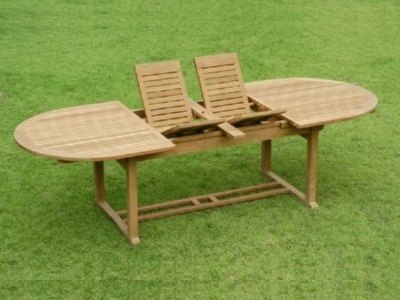 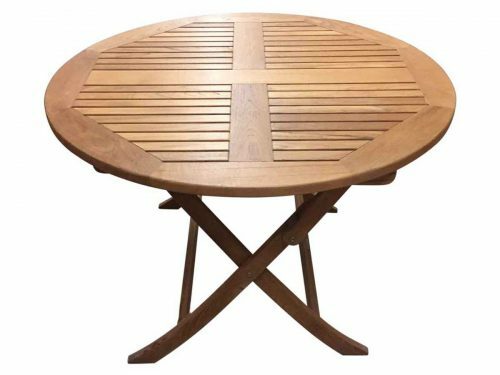 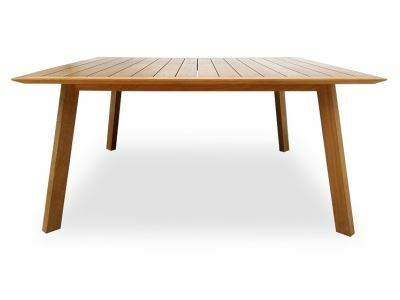 It has two extension teak leaves that fold up and tuck under the table when not in use – an extremely convenient feature! 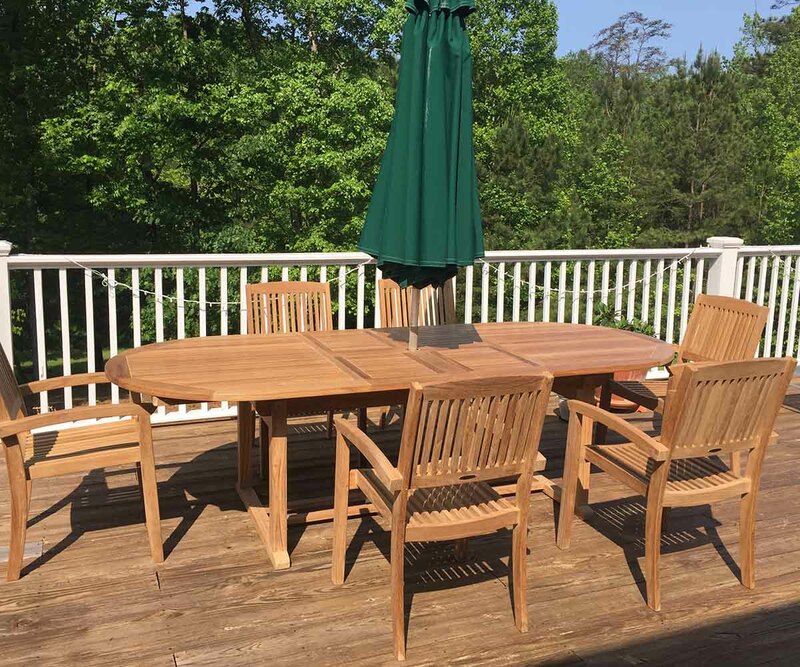 Can accommodate standard umbrella. 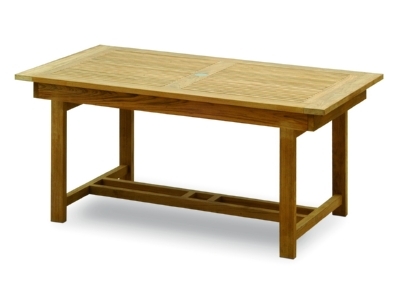 When fully extended, this table is 104″ long and can seat up to 12 people. 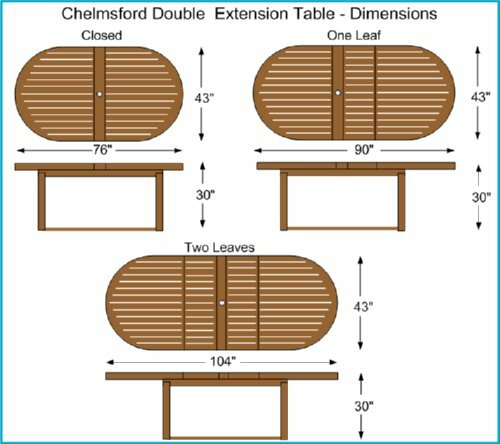 With one leaf it is 90″ long and fully closed it is 76″ long.